Do you think the only meaning for BRT is “be right there” (you texting hooligan!)? Well there’s a new meaning behind that acronym in town and the two of you are about to be introduced. 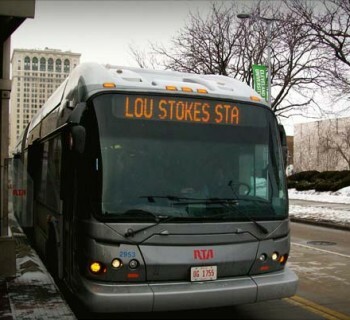 As more and more people use public transit, and the business case becomes more apparent, communities in Michigan are looking to bus rapid transit, or BRT, to make their public transit systems better, faster and stronger. 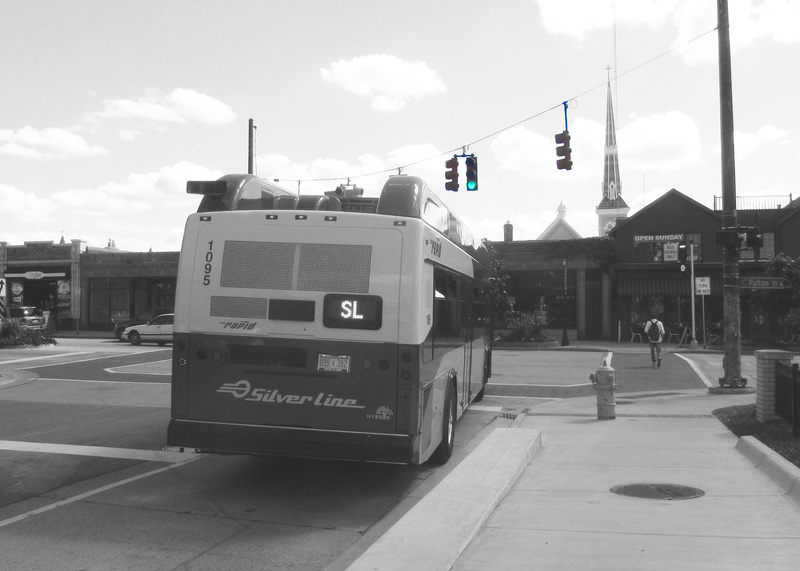 Grand Rapids opened the first (and currently the only) BRT system in Michigan last August—the Silverline—and BRT is also being considered in Lansing and in greater Detroit. What is public transit? 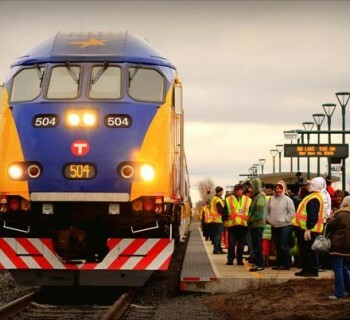 Public transit, also frequently referred to as “mass transit” or simply, “transit”, is publicly-operated transportation, which can come in the form of anything from passenger trains (like Amtrak), to commuter trains, to light rail, to large or small buses that run on regular routes or to vans that pick up people directly from their homes. Despite its increased popularity, most of us don’t really understand what BRT is, let alone why it might make sense for our community. 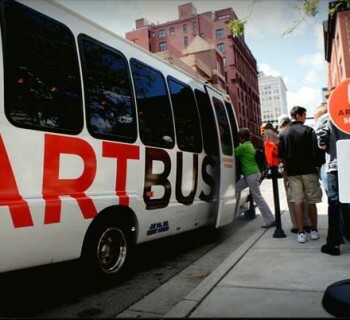 What is BRT? Why is it so popular? And when does it make sense to consider it as an option to improve transit options in a community? 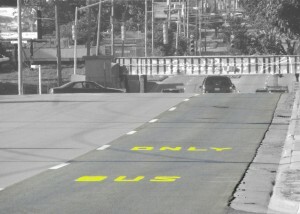 Exclusive, dedicated bus lanes are perhaps the most important part of a BRT system. 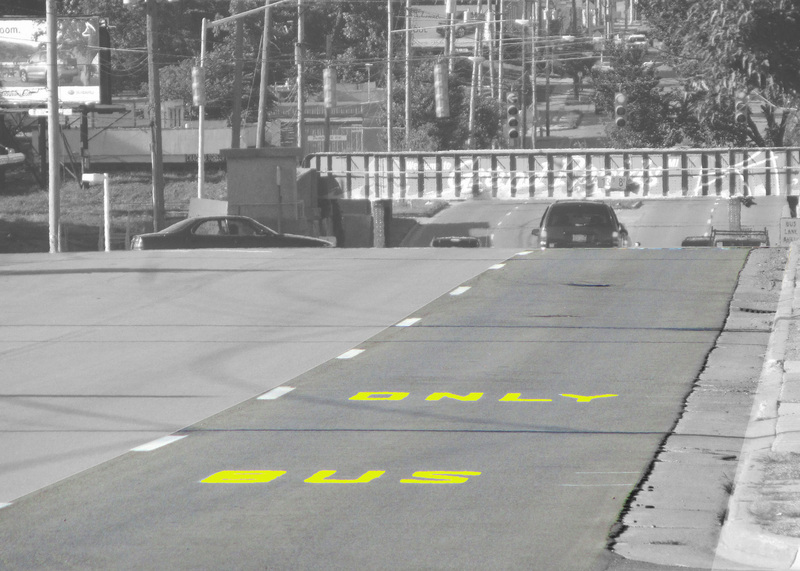 Much like a light rail line runs in its own lane, bus-only lanes allow the bus to move (mostly) independently of automobile traffic and are the workhorse of the higher speed, more dependable transit service. Stations that sit at the same elevation as the bus allow all riders to get on and off easily, and in particular, allow riders using wheelchairs or other mobility devices to enter the bus quickly, safely and comfortably. 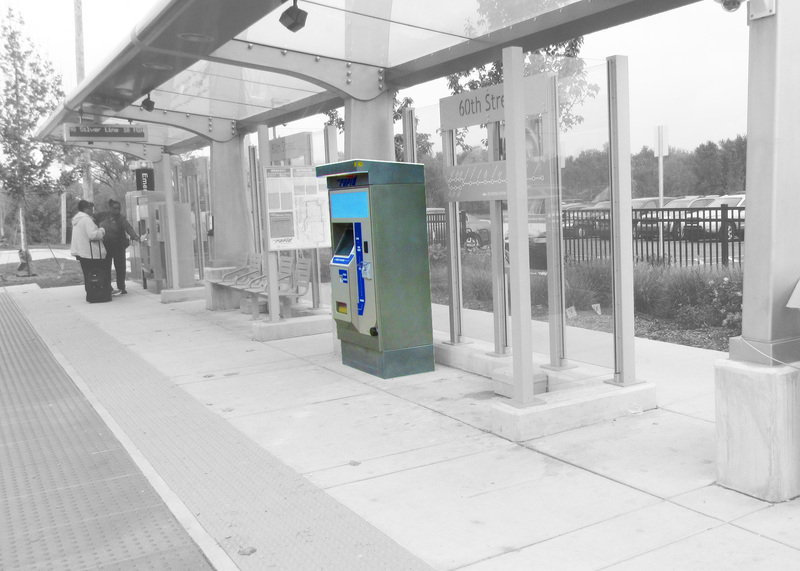 Coupled with level boarding stations, buying your ticket before you get on the bus means the bus is stopped for less time and you’re not fumbling with coins to quickly pay your fare. This is usually done at a ticket machine at the station where riders can buy fare cards (at different amounts) using cash or credit cards. Some systems also have reusable card options or smart phone apps that can be reloaded online or in-person and can be scanned quickly at the station or during boarding. Because BRT is most often used along exiting bus lines where passenger capacity is maxed out, frequent service—often every five to 15 minutes—reduces the need for schedules and helps guarantee you’ll get to your destination on time. Traffic signal priority technology allows the transit vehicle to communicate with traffic signals to extend green lights longer to minimize stop time. 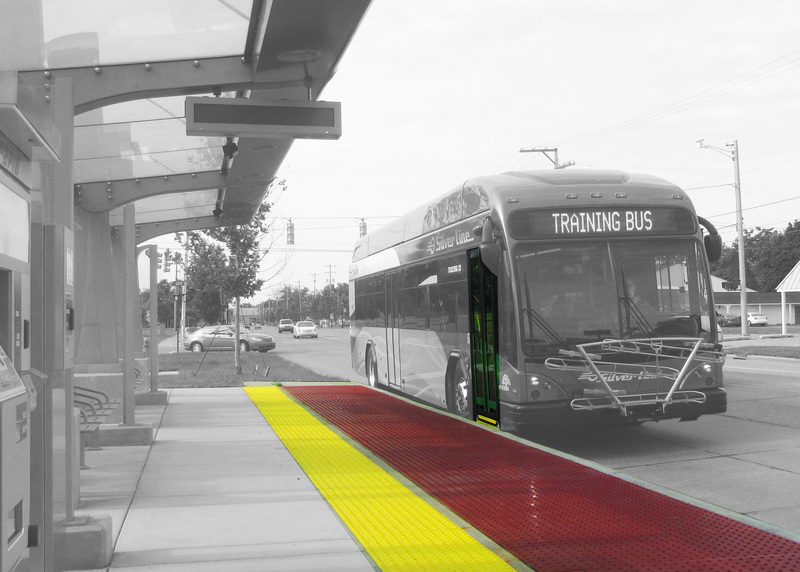 Along with dedicated lanes, traffic signal priority allows BRT systems to run more independently from car traffic, again, increasing speed and dependability. Many communities already use this technology to give fire trucks and ambulances traffic signal priority. All of these things allow BRT to be more competitive with auto travel, increasing speed, dependability and in turn, ridership. 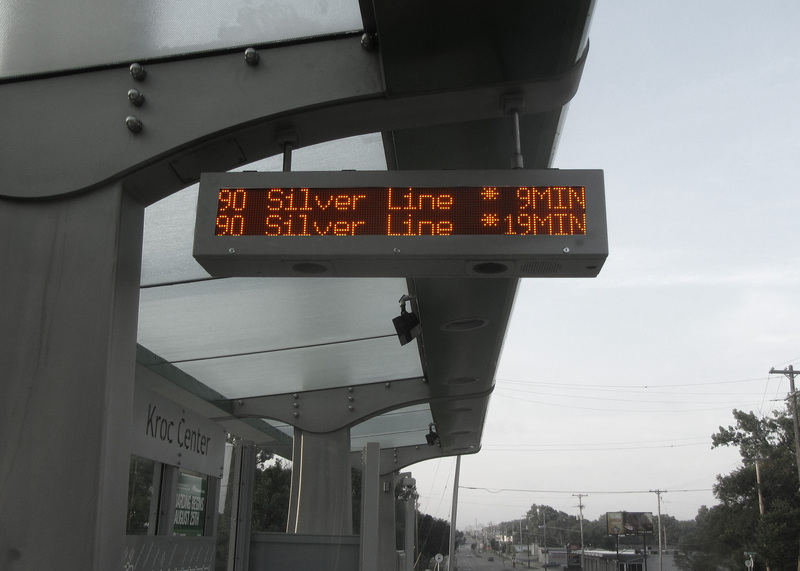 BRT often makes the most sense as a replacement for traditional bus service that has maxed out the amount of people it can carry on an already busy schedule, but when light rail isn’t the right fit (for financial or other reasons). Successful BRT lines often connect two or more areas along a main thoroughfare where large numbers of people live, work, shop or hang out. With that said, I think we can all agree there is no perfect equation for planning transit systems. Every community presents a unique situation and requires its own solution. Now that you know what BRT stands for (or at least the alternative to “be right there”) and what it actually is, get involved! 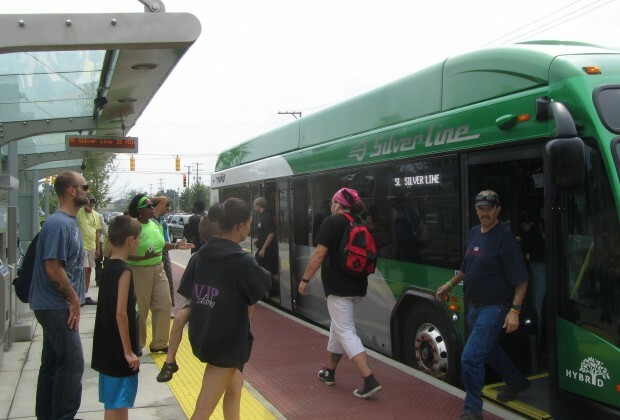 Learn more about Grand Rapids’ second BRT line in development join the conversation about BRT in greater Detroit or tell CATA what you think about BRT connecting Lansing and East Lansing. Images used are a derivative of work by John Eisenschenk, used under CC BY.